1) Khan Shri Ghulam Moin ud-din Khanji Fateh ud-din Khanji Babi, Khan Sahib of Manavadar (s/o Fatima Siddiqa) - see below. a) Khan Shri Muhammad Zaman Khanji Babi. b. at Manavadar, 23rd February 1944 (s/o Razia Sultana). 2) Sahibzadi Bima Shri Mumtaz Jahan Bakhte [Amina Begum Sahiba]. b. at Manavadar, 25th February 1913 (d/o Fatima Siddiqa). m. at Zorawarbagh Palace, Manavadar, 26th March 1931, Khan Shri Zabardast Khanji Sardar Khanji Babi, of Sultanabad, son of Khan Shri Sardar Muhammad Khanji Anwar Khanji Babi, of Sultanabad. She d. 4th February 1994, having had issue, one son and two daughters - see India Non-Salute (Sardargarh). 3) Sahibzadi Bima Shri Ismat Jahan Bakhte [Kulsum Begum Sahiba]. b. at Manavadar, 12th December 1915 (d/o Fatima Siddiqa). m. at Zorawarbagh Palace, Manavadar, 25th April 1940, Meherban Shaikh Shri Shaikh Muhammad Nasir ud-din Mian Sahib Bahadur, Shaikh Sahib of Mangrol (b. at Kurwai, 9th August 1916; d. at Karachi, Pakistan, 15th January 1991), eldest son of Meherban Shaikh Shri Shaikh Muhammad 'Abdu'l Khaliq I [Dada Bapu Mian] Sahib Bahadur, Shaikh Sahib of Mangrol, by his first wife, Ahmed Zaman Begum Sahiba, the eldest daughter of Mushfiq Meherban-i-Dostan Nawab Muhammad Yaqub 'Ali Khan, Nawab of Kurwai. She d. at Karachi, Pakistan, 2nd March 2005, having had issue, one son and four daughters - see India Non-Salute (Mangrol). 4) Sahibzadi Bima Shri Tahira Jahan Bakhte. b. at Manavadar, May 1917 (d/o Fatima Siddiqa). She d. during the great influenza epidemic, at Zorawarbagh Palace, Manavadar, 18th October 1918. 1) Nawabzada Muhammad Aslam Khanji Moin ud-din Khanji Babi. b. at Manavadar, 15th March 1935 (s/o Qudsia Siddiqa), educ. Church Missionary Society High Sch (CMS) and Karachi Grammar Sch, Karachi. Heir Apparent. First class cricketer with “Pakistan Eaglets”, which toured Ceylon in 1955 and England, played against M.C.C. in 1955/56, with Karachi Cricket Assoc 1955-1967, “Karachi Whites” 1956-1966, Karachi “A” 1957-1958, “Karachi Blues” 1965-1971, and Pakistan Security Printing Corp 1977-1979. He d. unm. at Karachi, Pakistan, 29th April 1980 (bur. there at PECHS Cemetery). 2) Nawab Dr Muhammad Fateh ud-din Khanji Moin ud-din Khanji Babi, Khan Sahib of Manavadar (s/o Qudsia Siddiqa Begum) - see below. i) Khan Shri Muhammad Irteqa Khan. b. at Karachi Pakistan, 20th August 2011.
b) Khan Shri Muhammad 'Ali Khanji Babi. b. at Karachi, Pakistan, 17th October 1986.
c) Khan Shri Muhammad Bilal Khanji Babi. b. at Karachi, Pakistan, 1st February 1990.
i) Syeda Musfera Ahmed. b. 19th September 2009.
b) Bima Shri Humera Khanum. b. at Karachi, Pakistan, 8th October 1991. 4) Sahibzada Muhammad Idrees Khanji Moin ud-din Khanji Babi. b. at Zorawar Bagh Palace, Manavadar, 23rd August 1947 (s/o Qudsia Siddiqa), educ. Karachi Grammar Sch, Karachi, Burn Hall Sch, Abbottabad, St Patrick’s Sch and Coll, Karachi (MA). m. at Karachi, Pakistan, 21st June 1992, Sayyida Zahira al-Adawy Begum Sahiba, daughter of Sayyid ‘Abdu’l Monem bin Hassan al-Adawy, an eminent scholar and founding editor of the “Al-Arab” fortnightly in Bombay, a Hashemite Arab by descent originally from Egypt, by his wife Sayyida Mumtaz Begum, daughter of Sayyid Pir ‘Abdu’r Rehman Gaylani of Poona, India. a) Bima Shri Sheema Bakhte Sahiba. b. at Karachi, Pakistan, 10th October 1991.
b) Bima Shri Hafsa Bakhte Sahiba. c) Bima Shri Hadiqa Bakhte Sahiba. d) Bima Shri Halima Bakhte Sahiba. 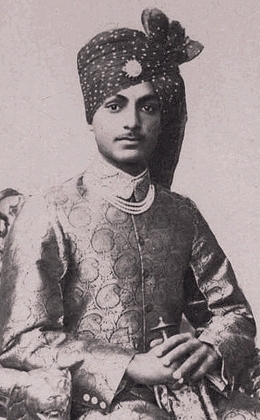 1) Sahibzadi Bima Shri Khurshid Jahan Bakhte. b. at Zorawar Bagh Palace, Manavadar, 15th June 1937 (d/o Qudsia Siddiqa), educ. St.Joseph’s Convent Sch and Coll, Karachi (BA). 2) Sahibzadi Bima Shri Ayesha Sultana Bakhte. b. at Zorawar Bagh Palace, Manavadar, 10th May 1939 (d/o Qudsia Siddiqa), educ. St.Joseph’s Convent Sch and Coll, Karachi (BA). 3) Sahibzadi Bima Shri Fatima Zehra Bakhte. b. at Zorawar Bagh Palace, Manavadar, 25th September 1945 (d/o Qudsia Siddiqa), educ. St. Lawrence Convent Sch, Model Sch, Abbottabad, St.Joseph’s Convent Sch and Coll, Karachi (BA). 4) Sahibzadi Bima Shri Tahira Bakhte Begum. b. at Manavadar, 20th November 1946 (d/o Abida Begum) (twin of Muhammad Anis Khan). 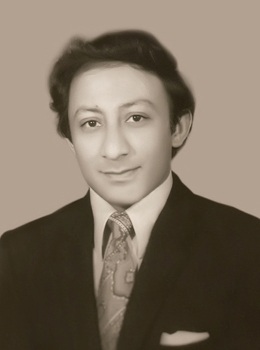 m. at Karachi, Pakistan, Syed Feroz Shah Gaylani. She has issue, one son and two daughters. 5) Sahibzadi Bima Shri Rabiat ul-Advia Bakhte Begum. b. at Karachi, Pakistan, 26th October 1956 (d/o Abida Begum). m. at Karachi, Pakistan, Muhammad Mohsin Khan. She has issue, one son and four daughters. 6) Sahibzadi Bima Shri Fatima Umm ul-Khair Bakhte Begum. b. at Karachi, Pakistan, 14th January 1963 (d/o Abida Begum). m. at Karachi, Pakistan, 1994, Muhammad Jamal Khan (b. 30th May 1959), of Edmonton, Canada. * The title of Nawab seems to have been assumed without official sanction or recognition. The Pakistan Army List and Abbottabad College Register for 1962 list the former ruler as "Major Khan Ghulam Moinuddin Khan". However, his elder son was styled "Nawabzada" (i.e. son of a Nawab) in the 2006 Pakistan Government notification concerning Cabinet approval for the continuation of allowances, while sill referring to his late father as the "Khan of Manawadar". 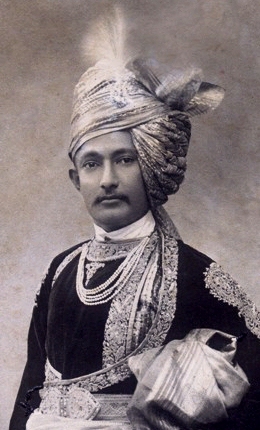 1) Nawabzada Muhammad Mahmood Khanji Babi. b. at Karachi, Pakistan, 1st May 1992. Heir Apparent. 1) Sahibzadi Bima Shri Zainab Khanum Bakhte. b. at Karachi, Pakistan, 12th September 1989.